Once again, despite being at the bottom of the solar cycle, there was another encouraging increase in participation in the 71st Commonwealth Contest. Last year entry numbers rose by 33%, and a further 9% has occurred in 2008. Such a result is very gratifying, and we confidently expect more interest as HF conditions continue to improve over the coming years. 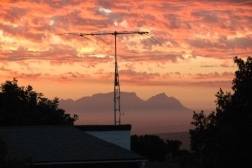 Once again, relatively few contacts were made on 10m, where conditions favoured the more southerly stations except, rather surprisingly, those in New Zealand. In all there were 215 competitive logs received. 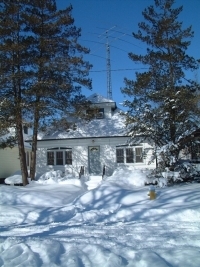 There was strong support from Canada who provided four of the seven HQ stations. It is also noticeable that support from less populated (in amateur radio terms) areas is steadily increasing. This year Africa fielded an entry in the Team competition, albeit with a little help from India, another region where interest in the Commonwealth Contest is on the up. Another sign of wider interest was the presence of no less than 69 call areas (excluding HQ stations) in entrants’ logs, reversing a downward trend in 2007. For the statisticians, more than 40000 QSO records went into the adjudication process, from a total of 215 entries and eight check-logs. This year globe-trotting legend Nigel G3TXF ventured to a different part of the Caribbean, borrowing the VP5JM rental station on Providenciales, but using the exotic callsign of VQ5XF. Once again he took full advantage to wrest the top spot and win the Senior Rose Bowl in the process. Steve ZC4LI climbs to second place, with a comfortable lead over third-placed Dave G3TBK at J88DR. Dropping one place down to fourth this year is Alan P3J, just ahead of the leading Canadian – Ron VC3E. Justin G4TSH produced a fine score to grab sixth position and the Col Thomas Rose Bowl. 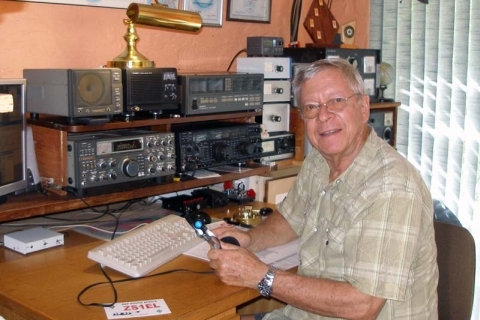 Two further UK stations were hot on his heels, with Dave G4BUO eventually emerging just five points, or one QSO, in front of Don G3BJ after adjudication. Bob 5B4AGN came ninth, and previous section winner John VE3EJ finished just in the top ten with a very creditable performance in the twelve-hour category. Seventy-three stations entered the Restricted section, which caters for a maximum of 100 watts output and a single-element antenna, either in the twenty-four hour or twelve hour (marked with an asterisk in the table) categories. This year all of the top ten stations in the section had opted for the full twenty-four hours. Nick, V47CD, (G4FAL) from the Caribbean island of St Kitts wins the Junior Rose Bowl by a fair margin over last year’s winner, Peter G3LET. Peter receives a suitable recompense, though, by winning the John Dunnington Trophy. 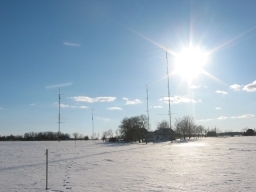 The other Nick, 5X1NH achieved third place – no mean achievement considering power outages and nearby thunder storms that forced station shutdown several times. 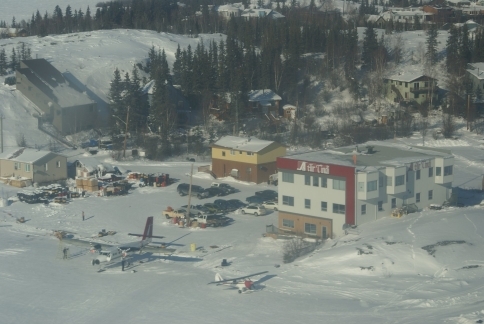 Mike G3IAF dropped one place to fourth, followed by two Canadians – Gary VE1RGB and Yuri VE3DZ (12 hours only). 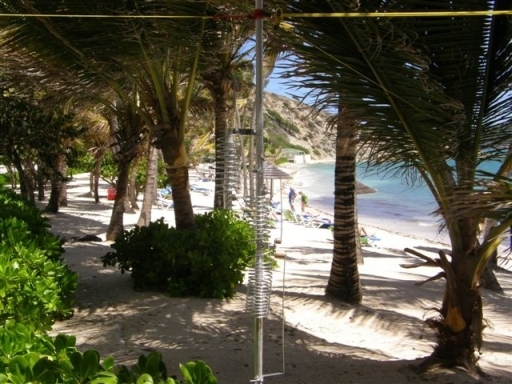 Seventh was another Caribbean visitor – Chris M0AJT using the callsign V26CC from a beachside location in Antigua. The remaining top ten spots were taken by UK stations, Geoff G4FKA in eighth place, with Mick G3LIK and John G4CZB sharing ninth position. After last year’s disappointment, it was business as usual for GB5CC. Remaining north of the border, but this time with Chris GM3WOJ on the key, it was back to winning ways. 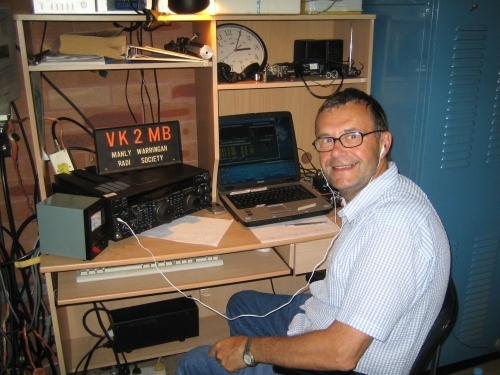 In second place – last year’s winner VA3RAC, but with a different operator (Bert VE3QAA), followed by a welcome Québecois entrant – VA2RAC with Claude VE2FK in charge. There was no New Zealand HQ station this year, but VK4WIA made a welcome re-appearance in the hands on Keith VK4TT. 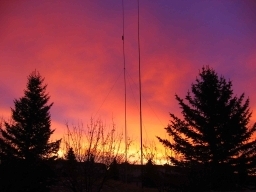 Once again, Canadian stations from both coasts were next, VE7RAC (Brian VE7JKZ) and VO1RAC (Paul VO1HE), with VU2UR completing the set. DX-cluster use, rather than traditional multi-operator, is the main reason for entering the multi-operator section, but interest is rising, with seven entrants this year compared to just two in 2007. 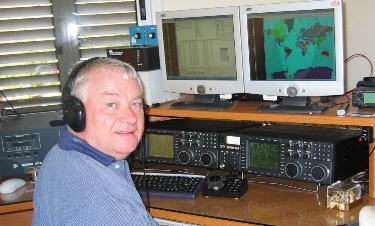 Leading operator here is Gary ZL2IFB, ahead of Chris G4BUE, in Sussex rather than his sunny Florida second home, and thus able to enter for a change. Last year’s leader Gerry VE6LB finds himself in sixth place, behind Dave G3NKC, Michael G7VJR and fellow Canadian Bud VA7ST. The Ross Carey Rose Bowl, awarded to the highest-placed UK station in the 12-hour category (regardless of section) goes, once again, to Cris GM4FAM. The VP8GQ Trophy, awarded to the equivalent non-UK station, is won by Bob 5B4AGN – well deserved for his top ten finish in the Open section and closely followed by John, VE3EJ. The Commonwealth Traveller Award is not only intended to reward those adventurous souls who travel to far-flung places, but also to stimulate activity by residents in Call Areas that are not often active. This year five candidates met the requirements. 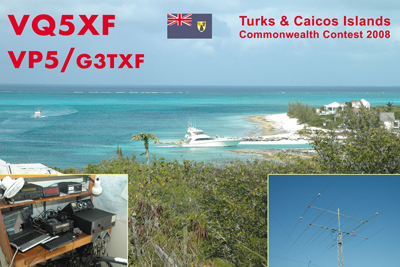 With a score head-and-shoulders above the rest, Nigel G3TXF found a different destination, using the exotic callsign VQ5XF from the Turks and Caicos Islands, to take the award for the second time. Just where will he go in 2009? 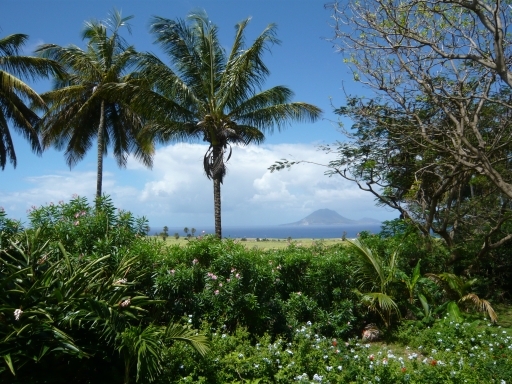 Making a valiant effort, Nick V47CD/G4FAL found a beach-side location in St Kitts, whilst residents Robby VY2SS, Ed VE4YU and Randy C6AWS were very welcome additions to this year’s list of available call areas. The Commonwealth Medal is awarded to John Dunnington G3LZQ. 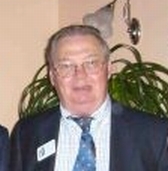 John is a long-time supporter of the Commonwealth Contest, and was instrumental in enabling automatic credits for for all verified contacts in the Commonwealth Contest towards the RSGB’s Commonwealth Century Club, of which he is the manager. John also donated a trophy in his name, to be awarded to the highest-scoring UK station in the Restricted section of the Commonwealth Contest. Not one to rest on his laurels, John has recently been putting a lot of effort into attracting more support for the contest from within Africa. His success can be measured by the appearance of a Team Africa entry this year and, naturally, John was a member of the inaugural team. This year, teams from Australia, Canada, Great Britain, New Zealand and the Rest-of-the-World were joined by Team Africa. They made a very creditable start, with a little help from an Indian team member (all above board! ), but were unable to muster a full team. Last year’s winners New Zealand were hampered by the non-availability of the Quartz Hill super station, and a failure of 10m to deliver conditions enjoyed by other southern areas. However, these factors do not detract from a fine performance by Team Australia, last year’s runners-up, who amassed a marvellous adjusted score of 61528 to take the title, just ahead of the Rest of the World on 59791. In third place is Team Great Britain, with 51830 points. The others are fairly evenly-balance – Africa on 37909, New Zealand on 35023 and Canada on 34270. It remains to be seen what happens in 2009, when the newly-calculated multiplier suggests another closely-fought competition. As always, my sincere thanks to those of you who sent logs in the exact Cabrillo format requested. The number of “strange” formats received decreases each year, which makes the increasing participation easier to manage. Of course, for those of you without computer knowledge or access, paper logs are always welcome. However, please ensure that you send it to the correct address! Logs were received at around half-a-dozen different locations this year – I just hope that all eventually found their way to me. My thanks are again due to Steve G3UFY, and his team, for their efforts in turning paper logs into electronic form for adjudication. 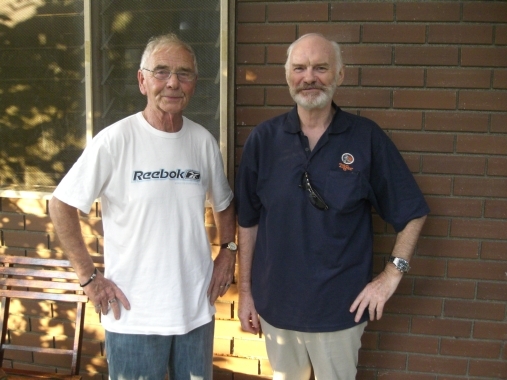 This is an expanded version of the write-up to be found in the June 2008 issue of RadCom. Thanks again to Paul O Kane for sponsoring prizes for the team competition and for SDC, the logging programme for BERU. 3B8, 4S, 5B, 5X, 5Z, 6Y, 7Q, 8P, 9H, 9J, 9M2, 9M6, 9V, 9Y, AP, C6, G, J8, V2, V4, V5, V8, VE1, VE2, VE3, VE4, VE5, VE6, VE7, VE8, VE9, VK1, VK2, VK3, VK4, VK5, VK6, VK7, VK8, VK9N, VO1, VO2, VP5, VP8, VQ9, VU, VY2, ZB2, ZC4, ZD7, ZF, ZK3, ZL1, ZL2, ZL3, ZL4, ZS1, ZS2, ZS3, ZS4, ZS5 and ZS6. 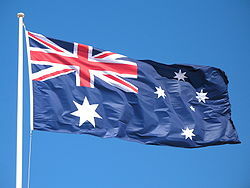 The 72nd Commonwealth Contest will take place on the 14/15th March 2009, starting at 1000UTC. Once again, there will not be any significant changes for 2009, but watch out for any “clarifications” resulting from an analysis of this year’s competition. The Team Competition is definitely here to stay! Each year’s results have an effect on the “latitude multiplier” for the following year. Already some keen mathematicians are predicting, based purely on claimed scores at this stage, that its 2009 value will make the team event a very open competition. So, start planning! Perhaps Team Africa will build on their initial success. Maybe New Zealand will bounce back. Or could Team Great Britain overcome the disadvantage of their northern location to beat all-comers?